The Harlem Cowl Dress is perfect for this time of year as it has long sleeves to keep you warm, but the grey bamboo fabric is lightweight, preventing you from overheating. 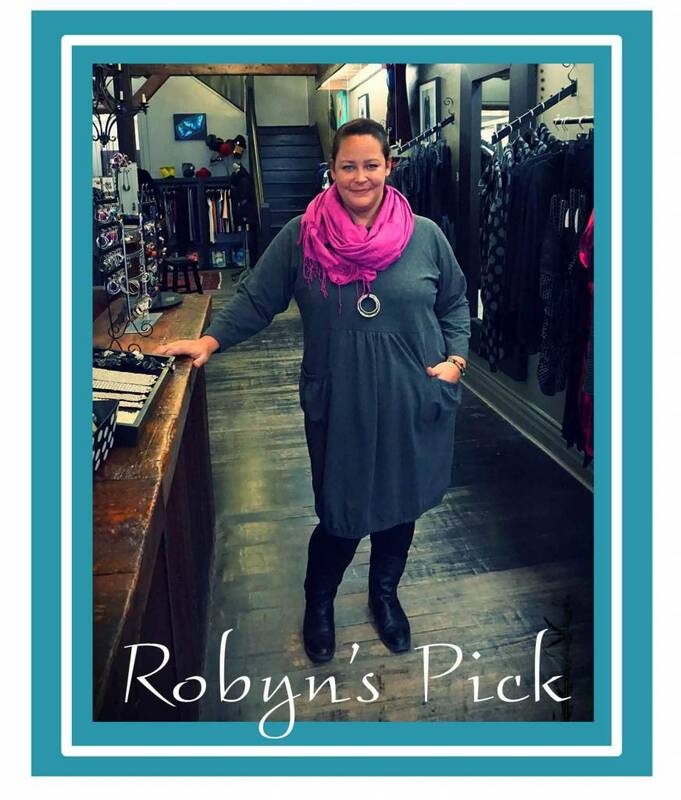 Worn over a pair of C'est Moi Black Leggings and sleek black boots, Robyn is ready for snow, sleet or rain and she might run into it all! These leggings are available in regular and high rise, offering more coverage, if you prefer, in the softest fabric. This look is topped off with a beautiful pop of colour with in her pink scarf, brightening up a neutral palate. If you love a great scarf, come on in and check out our scarf wall, punctuated with colour and patterns, you are sure to find a pop of colour to brighten your winter wardrobe. Stay tuned this week for a look at more of our scarves and how to wear them!